Creates a melting-like blur effect in an image. 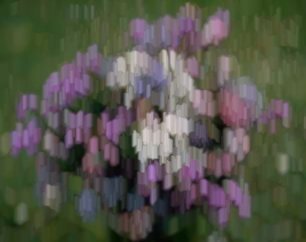 PURPOSE: To create a melting-like blur effect in an image. 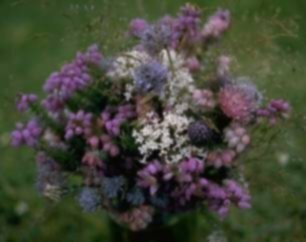 DESCRIPTION: MELT creates a melting-like blur effect in an image using an iterative offset and compare technique. The brighter of the comparison values will be used. -l length ... LENGTH is the melt distance. Values are integers greater than 0. The default is 10. The length determines the number of iterations. -b blur ... BLUR is an initial blurring of the image to make the pixels wider before applying the melting process. Values for blur are floats>=0. Typical values are a few pixels. The default=0. This is equivalent to the following IM commands for melt in the South direction.